Scott K. Powers is a Distinguished Professor and the UAA Endowed professor in the Department of Applied Physiology and Kinesiology at the University of Florida. Powers enjoys teaching and has earned three University of Florida teaching awards. Dr. Powers’ research has focused on exercise-mediated changes in cardiac and skeletal muscle antioxidant systems and the role that these changes play in providing protection against oxidant injury. Further, he is actively investigating the mechanisms responsible for respiratory muscle weakness in patients subjected to prolonged periods of mechanical ventilation. Dr. Powers’ laboratory work has been funded by grants totaling more than five million dollars from the National Institutes of Health, American Heart Association, American Lung Association, and the Florida Biomedical Research Program. This research has resulted in over 180 peer-reviewed research publications. 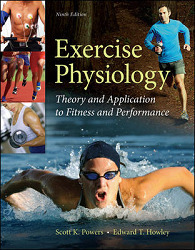 Scott has also co-authored four college textbooks for use in exercise physiology and fitness courses. Powers is active in both the American Physiological Society and the American College of Sports Medicine. He also serves as an Associate Editor for the American Journal of Physiology-Reg. and is a member of the editorial board for the Journal of Applied Physiology, the International Journal of Sports Medicine, and the International Journal of Sport Nutrition and Exercise Metabolism. Scott Powers received his bachelor’s degree in physical education from Carson Newman College, his master’s degree in exercise physiology from the University of Georgia, and a doctorate (EdD) in exercise physiology from the University of Tennessee. Powers earned a second doctoral degree (PhD) in physiology from Louisiana State University.